The ‘hidden’ danger of legionella in garden centres has been well publicised. In 2012, two customers and a delivery driver died from legionnaires disease arising from a display hot tub in the garden centre section of JTF warehouse in Stoke on Trent. The hot tub water had not been filtered or cleaned. A further 18 people caught legionnaires disease and needed hospital treatment. In 2017 the firm was fined £1 million in Stafford Crown Court. Legionella is a bacterium which can cause a range of diseases including Legionnaires’ disease. Legionnaires’ disease is potentially fatal. Legionella is commonly found in natural water sources such as rivers, lakes and reservoirs, as well as soils. Infection is more likely where the bacteria multiply in artificial environments such as stagnant water storage, cooling towers, or hot tubs. By the inhalation of water droplets containing the bacteria ie. aerosols, mists. What are the risk conditions? The chance of infection is highest when the bacteria multiply to high concentrations. This is most likely in a nutrient-rich environment with water between 25°C and 45°C, however, bacteria can also survive and lie dormant in cooler waters. A description of your water system. Any identified potential risk sources and any means of preventing the risk, or controls in place to manage risks. Monitoring, inspection and maintenance review procedures and records of the checks carried out. Where water is taken from natural sources, especially bore holes. Areas of the system where the water temperature is between 20 and 45°C ie. artificially heated, or, naturally in warm seasons and parts of the day by direct exposure to sun etc. Areas where water is stored or re-circulated as part of your system. Areas where there are sources of nutrients such as rust, sludge, scale, organic matter and biofilms. Identify the potential for water droplets to be produced and, if so, whether they can be dispersed over a wide area. Consider; splashing water features, hot tubs, hoses and attachments etc. to treat the water source at inlet to prevent the entrance of bacteria. to treat currently stored water to eradicate any current bacteria presence. 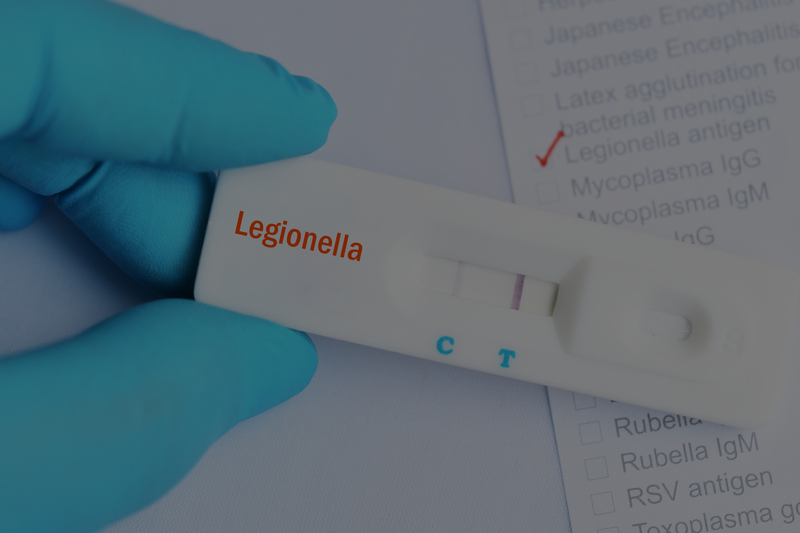 Implement a legionella monitoring plan and maintain test records ie. monthly water temperature checks and bacterial level monitoring. hot water storage cylinders (calorifiers) should store water at 60 °C or higher; hot water should be distributed at 50 °C or higher (thermostatic mixing valves may be required where scald risk is identified); cold water should be maintained, where possible, below 20 °C. Stagnant water supports legionella growth. To reduce the risk, you should: remove dead legs/dead ends in pipework; flush out infrequently used outlets (including shower heads and taps) at least weekly (or remove where possible). Provide lids to stored water tanks to prevent rodent or bird entry and biofilm from forming. 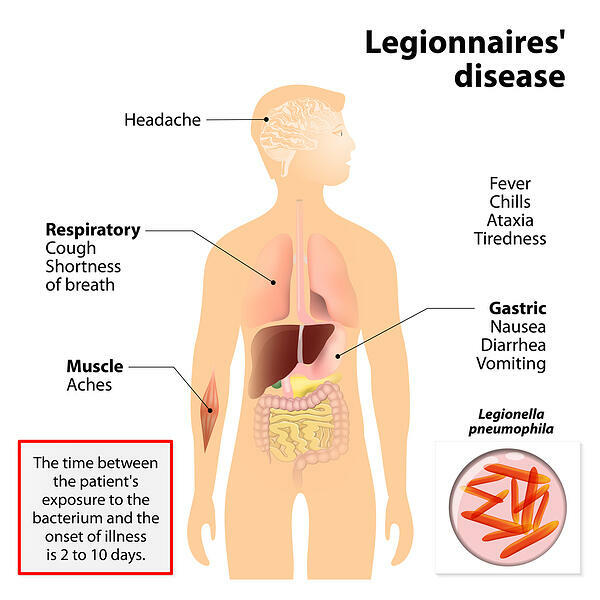 Train staff on awareness of the signs and symptoms of legionellosis. Do not underestimate the threat from legionella. 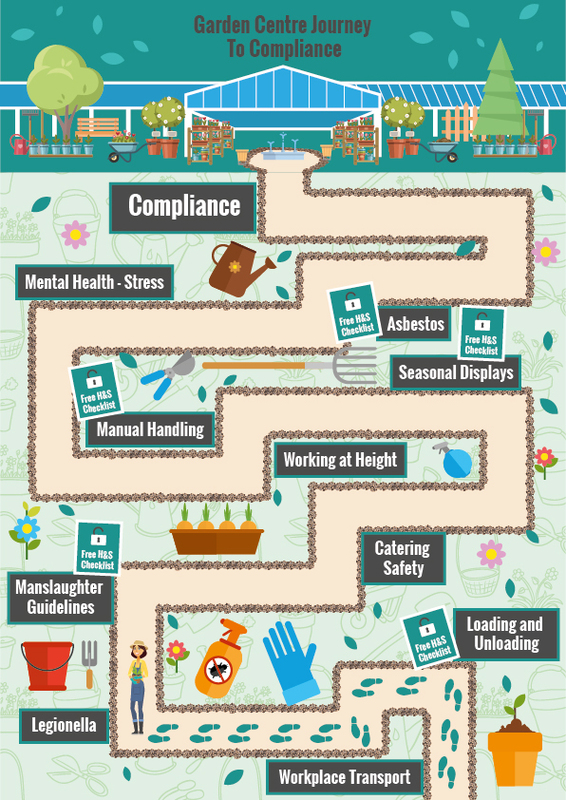 Customers and staff in your garden centre cannot protect themselves, they rely on your management and systematic solutions. Adjust your water system to minimise the chance of bacterial occurrence. Establish treatment, cleaning and regular monitoring processes to help prevent bacterial build-up.